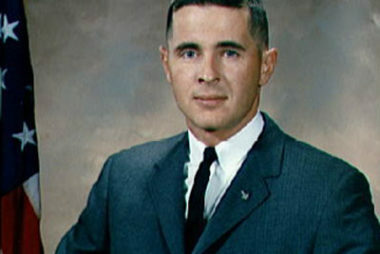 Anders, a 1955 graduate of the Naval Academy, was portrayed by Robert John Burke in the 1998 miniseries “From the Earth to the Moon”, and the Anders Crater on the Moon was named in his honor. Anders lived in Barrington for most of the 1980s while serving as Textron’s executive vice president and later as senior vice president. Providence-based Textron is also a major sponsor of this year’s event. Anders, who now lives in the state of Washington, flew in with his wife Valerie to receive the award.